Eliminates the need to invest in expensive gateway or desktop equipment. 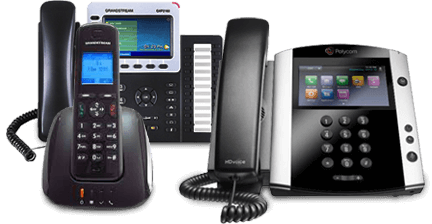 SIP Trunks also allows companies access to the benefits of a hosted VoIP service, without disposing of existing investments with their current phone system. Stop over subscribing to voice channels. Customize ClarityTel's advanced hosted solutions to your business needs. SIP Trunks utilize DID’s that allow each employee to have his or her own phone number or direct extension. Keep your existing phone number by porting it from your current provider. Configure and manage auto attendant and call flows through an easy-to-use web interface. Create as many numeric extensions or departments as you like. Add a dial-by-name directory for $9.99 per month. Create unlimited sub menus and call flows under the main directory. The monthly fee includes unlimited inbound and outbound calling. Retrieve all voice messages from a single inbox. Add additional boxes for $4.99 each. Receive voicemail online, by email as a .wav file (audio file) attachment, or mobile device notification. Route calls to other numbers or voicemail depending on a time of day pre-scheduled through the online dashboard. Allows callers on hold to listen to system-generated music or upload your own music or messages to play until you can accept the caller. Know who’s calling before answering and easily identify important calls. Reduce advertising costs and enjoy competitive pricing to fit any budget. Service can easily scale as your business needs. Redirect callers to another location in the case of store closure or natural disaster. Monitor the status of any extension with VoIP advanced hosted solutions. Manage all the calls your business receives, in real-time. Create unlimited directories using the online dashboard. Add more when your company needs with VoIP advanced hosted solutions. The service can be put on just the lines and call groups you need. Manage the business phone system online. Easily generate reports and review of your call statistics. Can be customized or use our professional in-house files. Facilitates easy review and storage of recorded calls. Record all inbound and outbound calls for the entire organization. Listen to and review calls from all or any individual phone number on your account. Pull calls from any date range for any phone number. All call files can be saved, deleted, or forwarded via e-mail for others to review. Deliver messages to any telephone number nationwide. We'll issue you a "broadcast box" giving you easy access to all our broadcasting technology. A powerful sales tool! If you caller likes what they hear, you can program in any phone number nationwide for a direct connect. A different message can be delivered if your caller answers live or if the call goes to voicemail. Any recipient can press a button and be automatically removed from your voice broadcast lists insuring your business stays compliant. Record your own broadcast with our help or have a member of our team share your news or promotion. Send out the caller ID number that your business chooses. $9.99 per month for the broadcast module and 4.9 cents per minute. An average 30-second broadcast translates to 2.5 cents per completed delivery. Contact our sales department for accounts over 100,000 minutes per month. Choose a new local or toll free number anywhere in the US or Canada. Calls can be forwarded to multiple numbers that will ring in a designated sequence or ring all at the same time. Route calls to other numbers or voicemail depending on the time of day that the user pre-schedules through the online dashboard. Help is standing by 24/7 to meet your every need. Available for each account with no extra charges. Our trained professionals are available around the clock. We are 100% HIPAA compliant. Solutions for investor buyer and seller response lines. Highly trained agents are qualified in cross and up selling. Media responses with nationwide toll free numbers can be customized for any campaign. A great way for you to outsource new sales orders and compile registration information for upcoming events. Standard answering service rates apply plus $14.99 per extension call flow. Custom solutions available for almost any need.